1. Written kol koreh by R' Weiss with R' Fisher, R' Rabinowitz, R' Halberstam, R' Bernsdorfer, and R' Ulman. 3. Rambam Hilchos Ishus Perek 13 & 24, Shulchan Oruch Even HaEzer Siman 73. 4. Diyuk in Rambam ibid. shenohagu bnos yisroel and not shenohagin i.e. it doesn't change according to current custom. 5. Written by R' Leib Tropper in the name of R' Feinstein's son. 6. At least in Bet Shemesh, Jerusalem, Kiryas Joel, London, Monsey, and Montreal. E.g. one of the two Shomer Emunim Rebbetzins, and R' Shlomo Brevda's daughter-in-law. 7. It would seem that they would be either later than the Mishna Berura, or that he did not know (or consider) them. There are too many assumptions in the question for me to formulate an acceptable answer. I suppose I could identify poskim, but I will not. Hopefully, I have waited until the bounty on this question has expired. I would assume (correctly) the many, many Ashkenazic poskim who indeed maintain that a redid is not required. I believe that the redid is an Arabic clothing, and reflects Rambam's specific (culturally based) interpretation of the gemara which speaks of a kalta (a sort of basket-hat, according to Rashi) as an insufficient level of head covering. Maybe they are holding like the Shiltei Giborim who permits wigs as a sufficient level of covering to the reshut harabim. וְאֵיזוֹ הִיא דָּת יְהוּדִית, הוּא מִנְהַג הַצְּנִיעוּת שֶׁנָּהֲגוּ בְּנוֹת יִשְׂרָאֵל; וְאֵלּוּ הֶן הַדְּבָרִים שְׁאִם עָשָׂת אֶחָד מֵהֶן, עָבְרָה עַל דָּת יְהוּדִית: יוֹצְאָה לַשּׁוּק אוֹ לְמָבוֹי מְפֻלָּשׁ, וְרֹאשָׁהּ פָּרוּעַ וְאֵין עָלֶיהָ רָדִיד כִּשְׁאָר הַנָּשִׁים, אַף עַל פִּי שֶׁשְּׂעָרָהּ מְכֻסֶּה בְּמִטְפַּחַת; אוֹ שֶׁהָיְתָה טוֹוָה בַּשּׁוּק, וּוֶרֶד וְכַיּוֹצֶא בּוֹ כְּנֶגֶד פָּנֶיהָ עַל פַּדַּחְתָּהּ אוֹ עַל לְחָיֶיהָ, כְּדֶרֶךְ שֶׁעוֹשׂוֹת הַגּוֹיוֹת הַפְּרוּצוֹת; אוֹ שֶׁטּוֹוָה בַּשּׁוּק, וּמַרְאָה זְרוֹעוֹתֶיהָ לִבְנֵי אָדָם; אוֹ שֶׁהָיְתָה מְשַׂחֶקֶת עִם הַבַּחוּרִים; אוֹ שֶׁהָיְתָה תּוֹבַעַת הַתַּשְׁמִישׁ מִבַּעְלָהּ בְּקוֹל רָם, עַד שֶׁשְּׁכֵנוֹתֶיהָ שׁוֹמְעוֹת אוֹתָהּ מְדַבֶּרֶת עַל עִסְקֵי תַּשְׁמִישׁ; אוֹ שֶׁהָיְתָה מְקַלֶּלֶת אֲבִי בַּעְלָהּ בִּפְנֵי בַּעְלָהּ. 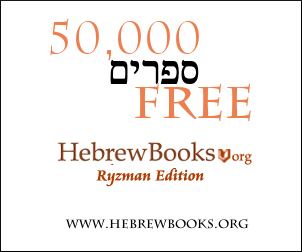 Note we can make another diyuk, that Rambam also says וְאֵין עָלֶיהָ רָדִיד כִּשְׁאָר הַנָּשִׁים, and there is not on it a redid like the other women, meaning that he is operating in a framework where other women are wearing redids, that not having it is a violation. Not the answer you're looking for? Browse other questions tagged minhag women clothing tznius-modesty posek-psak-decisor-ruling . Double head covering for women?